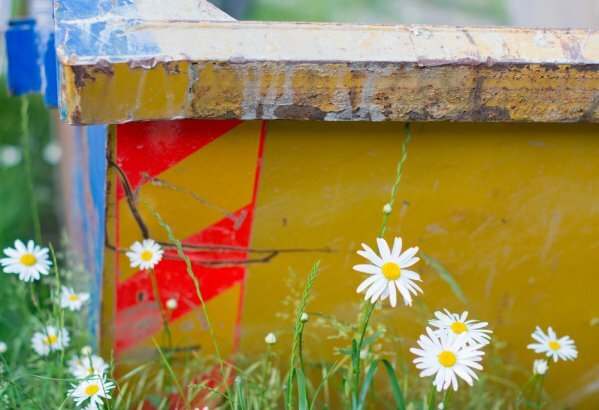 At Fleet Skips, we know that countless people who trade with us have never requested and hired a skip before, so we’ve put together an uncomplicated set of frequently asked questions to assist with the basics of ordering and using a skip. Please see our terms and conditions page for more direction. If you require further help, please call our dedicated crew who will be happy to support you with any skip hire-related questions you have. Q) What Size of Skip Do I Require? A) We have a large variety of different size skips. If you are uncertain regarding the size of skip, just give us a call and explain to us what you need the skip for, and we can help and guide you. Q) Where Can I Have My Skip Left? A) You can have it left in your driveway, garden, or at a building site. Q) Do I Need Authorisation from the Council to Put a Skip on the Road? A) Yes. You need a permit from the council, but don’t despair because we can ask for the permit for you. Q) Are There Any Constraints on What I Can Place into a Skip? A) Yes. You must not use a skip to dispose of tyres, fridges, gas bottles, or any asbestos. Q) What Area Do You Serve? A) We cover the entire Kent area. Nonetheless, if you are unsure, please give us a call to find out if this includes your local area. Q) How Long Can I Keep the Skip? A) Skips can be retained for up to 7 days. Additions to your planned hire time can be adjusted at no extra charge. Q) Are There Any Skip Loading Conditions? A) The only condition is that you don’t overload the skip. Q) How Do I Hire a Skip? A) We give a prompt and dependable service. Please call the office on 0800 917 7578 and we can assist you with your specifications. We usually deliver the same day (if you want it quickly). Q) What Notice Period Do I Need to Give? A) Please allow one day’s notice for collections or drop-offs. Q) What Happens to My Waste after It Is Removed in a Skip? A) All your waste goes back to our waste recycling plant. It is then separated and treated. All waste is disposed of in the most environmentally friendly way possible. Q) Do You Have an Environmental Policy? A) Yes. At Fleet Skips, we understand that our business activities have the potential to affect the local, regional, and global environmental conditions. Contact our team at the premier skip hire company in Dartford, Kent, if you have a query that is not answered above.